As Maine winters go, this one is so far fairly mild (sorry, Florida). Never the less, the snow on the ground and ice underfoot begin to take a psychic toll by the middle of January. I am impatiently waiting for bulbs planted indoors to flower, and my thoughts turn increasingly to gardens. I am too busy during the summer season to garden in any real way; my only claim to fame the huge pale pink geraniums in front of my store. 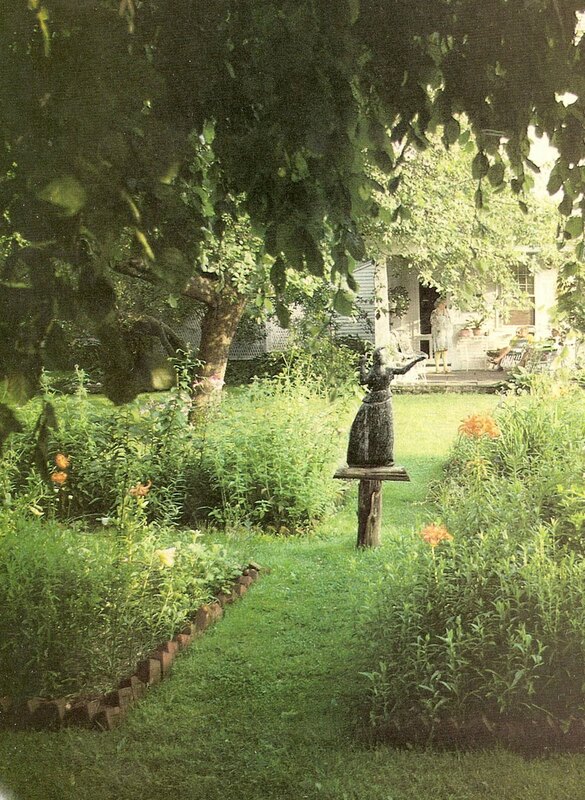 In sad truth, most of my once lovely gardens are now just a memory—but a man can dream. I’ve pulled a stack of garden books from the shelf, and am flipping through them, daydreaming—Francis Cabot’s A Greater Perfection, about his brilliant garden in Quebec, Vita Sackville-West’s Garden Book, with its aristocratic musings about plant combinations, Fletcher Steele’s Garden’s and People, wishing for the 109th time that by the mere act of reading this book, some of his brilliant design skills will magically rub off on me; Katherine (Mrs. E.B.) White’s Onward & Upward in the Garden, a collection of her elegant essays from the New Yorker, Beatrix Farrand’s Reef Point Bulletins, the best writings going about native plants and landscape, and last, but not least, Eleanor Perenyi’s Green Thoughts, which sent me looking for these clippings of her garden in Stonington, Connecticut. I won’t waste your time and my space writing an essay about Perenyi—her New York Times obituary says it very well. If you have never read Green Thoughts, you must. I am just now deep in her defense of dahlias, and it is thrilling. 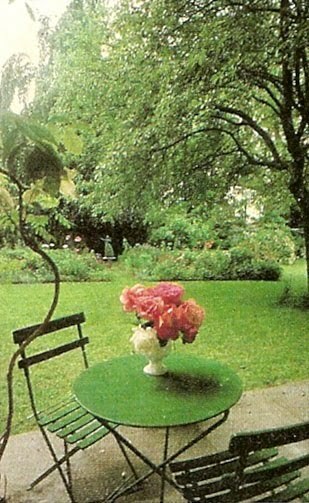 Her garden was admirable for its taste, and for its restraint. In this current era, where everyone is busily creating little formal gardens that reach the pitch of hysteria in their attempts to be charming and whimsical and artistic, here we have the real article. Tailored to its site, a plot around an 18th century house in Stonington, CT, it is slightly under maintained and under designed, and very close to perfect. 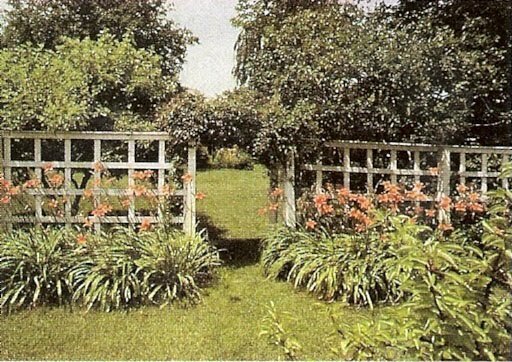 Old fashioned plant varieties, unspoiled by eager hybridizers, are massed to create architecture and effect. 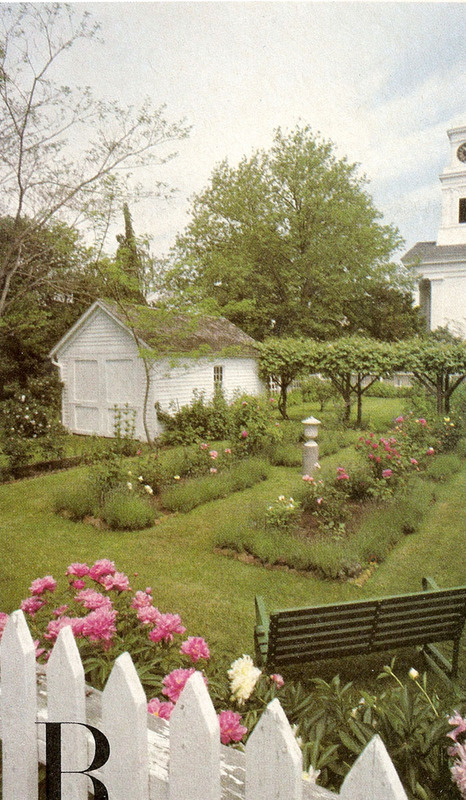 This garden is the one that would look so well around my own little white house…when I’ve cleared the steeplebush and alders….someday…. White's "Onward and Upward in the Garden" is one of my favorite gardening books, especially because she gardened on the coast of Maine.In his recent biography, her son, Roger Angell, wrote that she gardened while wearing tweeds and Feragamo flats–whatever she happened to be wearing when she decided to go out and work in the garden.I adore your blog! And I. adore yours, FD.I once lived quite near the Whites, and I remember well seeing her in late life, too frail to garden herself, in a walker, inspecting her ravishing garden and directing changes and improvements.If you aren't familiar with it, you should add Farrand's 'Reef Point Bulletins' to your collection of Maine gardening books. Excellent writings about designing to fit the landscape of Maine and using native species…but I intend to put all this into a future post, so I'll save the rest…thanks for stopping by. Still frozen here in Kansas. So glad I got my garden waylayed early on by my love of stone and hardscaping. While green is many months away, I love the pattern of the light and shadows. 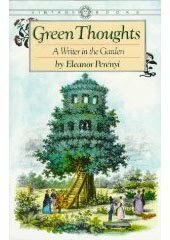 Eleanor Perenyi's Green Thoughts has always been a favorite. Have you discovered Henry Mitchell yet? Green Thoughts has always been a favorite. In fact, there is not a "clunker" on your reading list. I was going to e-mail you a slight correction, but alas, here it is… The Francis Cabot is The Greater Perfection is it not?